Here are Daily Mail art critic Robin Simon’s weekly recommendations for art exhibitions so far in 2010. Catch the blog for one a week from now on. Tell a lie… been working on too many other things and have let this slide for a bit – and I am writing this in December… meanwhile the Vulture has been flapping away and so the posts will re-appear shortly. Last chance to see this exhibition of one family’s paintings from one collection, at Bank of America Merrill Lynch. Andrew Wyeth is the best known for his intense images of American life. His father ‘N.C.’ was a remarkable illustrator whose work clearly inspired Andrew. Sister Henriette and her husband were was almost as good as he was, while his son Jamie continues an astonishing tradition. 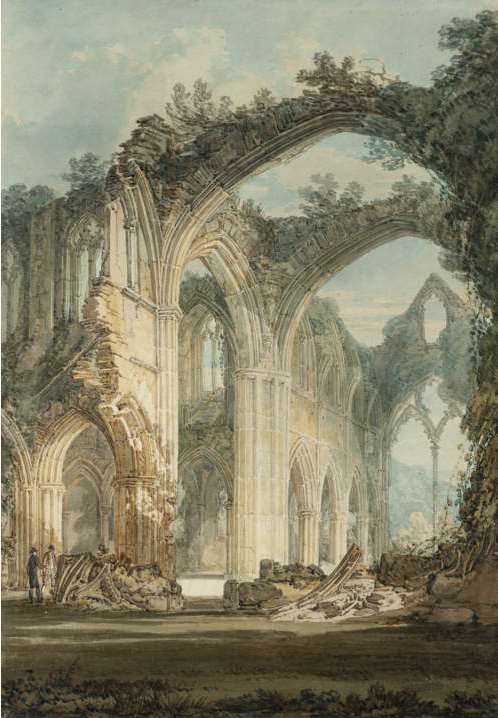 Ten superb paintings by JMW Turner and twenty by his contemporary ‘the Welsh Turner’, Penry Williams, who spent most of his life in Rome, as a colleague of the great Welsh sculptor John Gibson. The exhibition is set in the spectacular Gothic castle of William’s patron the ‘ironmaster’ William Crawshay. Includes Williams’s masterpiece ‘Procession to the Christening’. Only a tiny fraction of the 8000 paintings submitted to the RA Summer Exhibition is accepted. A generous selection from the thousands rejected is for sale in this inspired exhibition. Among those who catch my eye are George Gill, Mary Jane Alexander, Andrew Parker, Roy Connelly, Sally Scott, and Michael Tarr. But don’t take my word for it. Trust your own judgment. It is the only way. All museums and galleries make mistakes, but most of them keep it quiet. This unusual exhibition shows fakes that were once thought genuine but also genuine paintings that were once thought merely copies. But science can only help when its results are properly interpreted and so the continued defence of the so-called ‘Pisanello’ St George and the Dragon, surely a 19th-century dud, is perverse. The portrait painter John Singer Sargent was also spectacular at landscapes, as this stunning exhibition reveals. It includes one of the greatest seaside paintings of all time, Setting out to fish, a scene set on the beach at the Breton village of Cancale in 1878. Dazzling oil studies and smaller versions of the composition are hung alongside in this feast of 80 marine paintings. This is the perfect summer holiday exhibition. Don’t even wait for a rainy day. This mass of glowing paintings by artists of the Newlyn School will lift your spirits whatever the weather. The stars of the show include Walter Langley, Laura Knight, Stanhope Forbes, and Henry Tuke, but don’t miss William Titcomb and Harold Harvey. The technical level is astonishingly high. Humourists and comics have advised on this celebration of the British taste for robust fun, in a large, uneven selection ranging from Hogarth’s satires to Donald McGill’s saucy postcards. The work of one of the selectors, Gerald Scarfe, stands up well to comparison with the likes of Rowlandson and Gillray. In the end, it is all a little too solemn, but with plenty of entertainment along the way. Lord Burlington’s exquisite Palladian villa at Chiswick initiated the great English art of landscape gardening. For decades, the garden has languished unkempt, to the despair of local activists and admirers all over the world. Now an inspired restoration by English Heritage and the local authority has recovered its long-lost beauty, all 65 acres. Inevitably, there is also a new architect-designed café. The Courtauld Gallery is famously the home of some of the world's greatest masterpieces, including Manet's Bar at the Folies Bergères. But it has kept up a remarkable record of adding to its legendary collections, including works by Turner, Constable, Ingres, Degas, Rodin and Seurat, and modern artists such as Anthony Caro and Richard Long. A feast. Try out the new blockbuster art fair of London's summer season, in a glamorous pavilion within Kensington Gardens opposite the Albert Hall. Paintings, sculptures, prints, drawings, furniture, silver and much more are on view. Grit your teeth, pay the £15 entrance fee, then look, learn, and celebrate or drown your sorrows in the bars and restaurants. A major exhibition of evocative images of the hectic life of late-nineteenth-century Paris, by one of the most brilliant graphic artists of all time. 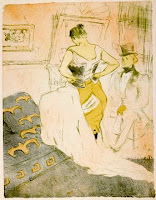 The stunted inbred aristocrat Henri de Toulouse-Lautrec possessed a superb print-making technique, and immortalized the weird and wonderful individuals he met in bars, theatres and brothels. The French have a phrase for it: joie de vivre. A chance to rediscover the ravishing colour of Sir Matthew Smith, one of the most striking British artists of the twentieth century. 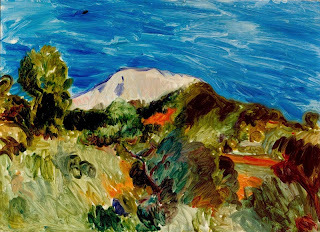 This first-ever exhibition of his landscapes of Cornwall and Provence goes on to the Victoria Art Gallery Bath (29 June-5 September) under the title ‘The English Matisse’. Not a bad description. 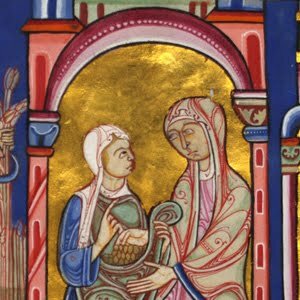 Some of the most beautiful illuminated manuscripts in existence are on view in this exhibition celebrating Lambeth Palace Library’s 400th anniversary, set within the Great Hall of the Archbishop of Canterbury’s London residence. 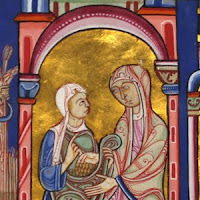 The finest are the 9th-century MacDurnan Gospels and the massive 12th-century Lambeth Bible. Among the memorabilia, don’t miss Archbishop Laud’s tortoise, which lived another century after his execution in 1645. The latest in a series of exhibitions featuring past academicians. 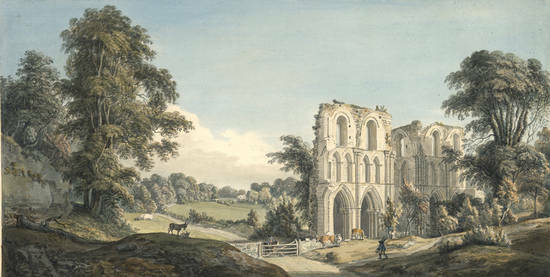 Sandby is thought of as the ‘father of English watercolour’. His distinctive technique, using opaque bodycolour, is not classic, but the results are astonishing (his oil-paintings are rubbish). As a young man he was a vicious satirist, attacking the great William Hogarth – a risky business. Who was pulling Sandby’s strings remains a mystery. This definitive exhibition offers a feast of colour and invention. Paul Nash is one of those legendary 20th-century artists whose work we hardly ever see. He specialized in a charming mixture of genteel surrealism firmly grounded in the British landscape tradition. But he also reacted with power and vision to the horrors of the First World War. All this plus the great permanent collection at Dulwich. The greatest drawing ever made. That’s The Dream by Michelangelo in the Courtauld collection, created for a young man he was crazy about, one of a group of ‘presentation drawings’ brought together for an unrepeatable exhibition. Vasari described them as ‘drawings the like of which have never been seen’. He was right. ‘The divine Michelangelo’ was also a great poet and five manuscript sonnets about the same young man are on view for the first time. The most popular painting in the National Gallery, judging by the number of times they have to re-varnish the floor in front of it, is The Execution of Lady Jane Grey by Paul Delaroche. He was never a household name, but his splendid paintings were once familiar to everyone, including The Princes in the Tower and Strafford led to execution. Masterpieces by any standard. He was the Grand Old Man of British modernism. He drew some of the definitive images of wartime London. For many years, no town square or country park was complete without one of his reclining figure. But is Henry Moore’s reputation, like his sculptures, now full of holes? This vast exhibition gives you the chance to decide for yourself. It seems hard to believe, but this is the first such exhibition in this country, featuring portraits created at the Mughal Court in the sixteenth century through to works carried out under British rule. It is a magnificent display, full of exotic and intense images in blazing colour. Mary Delany was one of the most remarkable people in Georgian Britain. She actually ‘did’ very little, because women of her class were not supposed to, although her entertaining letters are a famous record of the times. This unusual exhibition shows off the talents as artist and designer that she practised in private. You will be astounded by these magnificent sculptures, cast in copper using a method more familiar in the Italian Renaissance. How? No-one really knows. They were made in what is now south-west Nigeria between the 13th and 15th centuries, and, like the equally astonishing terracotta heads on display, are compelling likenesses. One of this year’s most important exhibitions. He is billed as the ‘Danish Master of Light’ but strictly speaking Købke is a master of tone. Despite a visit to Italy in his late twenties, Købke did not advance in the understanding of light beyond the precocity of his beautiful early landscapes and portraits. He was dead at thirty-eight, but already a star of Denmark’s ‘Golden Age’. He was the younger son of Sir Robert Walpole, our first ‘Prime Minister’, originally a term of abuse… But little Horace could hardly have been more different from ‘Bluff Bob’. He was gay, camp, witty, bitchy (very), and a brilliant interior designer, his genius displayed in the decoration of his own house, the ‘Gothick’ confection of Strawberry Hill. This delightful show brings together much of Horace’s long dispersed collection. This is a truly massive exhibition, showing how a royal romance was expressed in a mutual love of works of art. Victoria and Albert were pioneers in their admiration for early Italian and northern art, and there are many surprises among the sumptuous array of paintings, sculpture, furniture and jewellery. Book ahead, it is already packed out. This is an unbelievable display of Italian renaissance drawings from the two greatest collections in the world, the British Museum and the Uffizi in Florence, starring the likes of Leonardo, Mantegna, Michelangelo and Raphael. Artistic training was so intensive and the level of skill so high that even the work of their pupils can take your breath away. It opened yesterday, so start booking now. The great permanent collection at the Barber Institute is enhanced at the moment by a ground-breaking exhibition of portraits by the Pre-Raphaelite artist John Brett. He was discouraged from painting people by that interfering know-all John Ruskin, but fortunately he persisted, although until now most of his portraits have languished unseen in private collections.